Construction workers building an highway bridge over a railroad line accidentally discovered Inner Space Cavern in 1963. 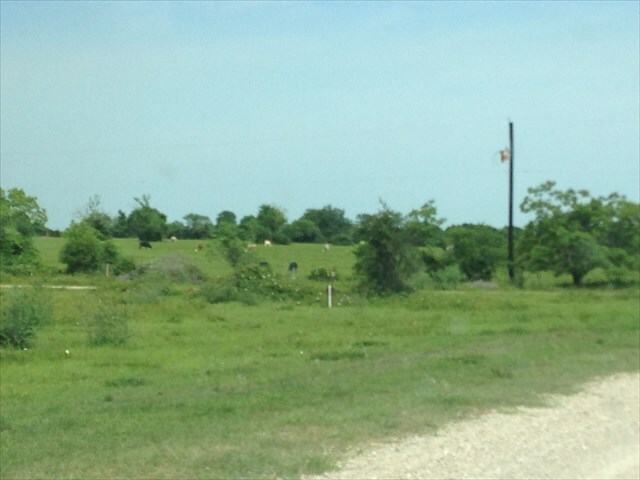 This site is located on the edge of the Edward’s Plateau 1 mile south of Georgetown, Texas. The eastern side of the Edward’s Plateau is a hilly landscape sitting on Cretaceous-age limestone bedrock. Rain dissolves limestone creating many underground caves in the region. The workers drilled down 33 feet and when the drill bit reached the cavern it fell an additional 24 feet becoming lodged in stalagmites. 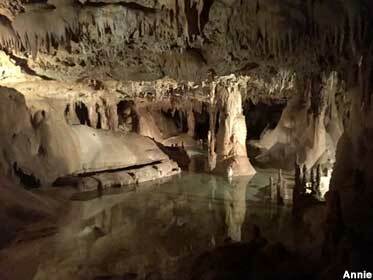 Inner Space Cavern is also known as Laubach Cave, named after the family who owns the land. The Laubachs opened up an accessible entrance to the cave, and it is now a tourist attraction. The cave is underneath the rail line and Highway 35. 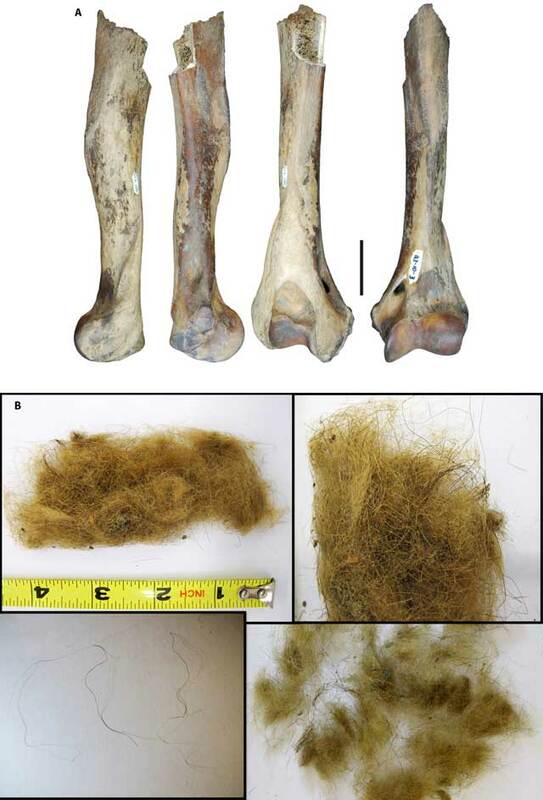 Skeletal remains of late Pleistocene age vertebrates have been excavated from 5 sites in the cave. However, radiocarbon dating of these specimens was executed during the late 1960s and early 1970s when this technology was still in its infancy, and the resulting dates are not considered accurate. The specimens are at least 13,000 years old, but it’s unclear if they can even be radiometrically dated. Location of Georgetown, Texas. Inner Space Caverns is just south of this town. View inside Inner Space Cavern. An unique assemblage of grazing fauna roamed central Texas during the late Pleistocene. Mammoth, bison, horse, camel, glyptodont, and a large extinct species of pronghorn (Tetrameryx shuleri) occupied the plains. The fossil record suggests Tetrameryx shuleri was restricted to what is now the state of Texas during the late Pleistocene. Because it was a regional species, it was more vulnerable to extinction when man colonized the area. A single specimen of the scimitar-toothed cat (Dinobastis serum) was found in Laubach Cave. Although this species ranged widely over North America, the distribution of its remains suggests the region from Texas and Oklahoma to western Tennessee may have held a core population. Other large mammal remains found in the cave include Jefferson’s ground sloth, deer (probably white tail rather than mule), flat-headed peccary, jaguar, dire wolf, and the extinct Florida spectacled bear (Tremarctos floridanus). This is the westernmost known occurrence of the Florida spectacled bear during the late Pleistocene. Today, the Texas kangaroo rat (Dipodomys elator) is restricted to 10 counties in north Texas bordering Oklahoma. Remains of this species found in Laubach Cave show it formerly ranged further south. Black-tailed prairie dogs (Cynomys ludovicianus) and meadow voles (Microtus pennsylvannicus) also no longer occur this far south. Short-tailed shrews (Blarina carolinensis) don’t live this far west any more. The presence of these small mammals suggests the climate in this region was wetter with cooler summers during the Ice Age than it is today. 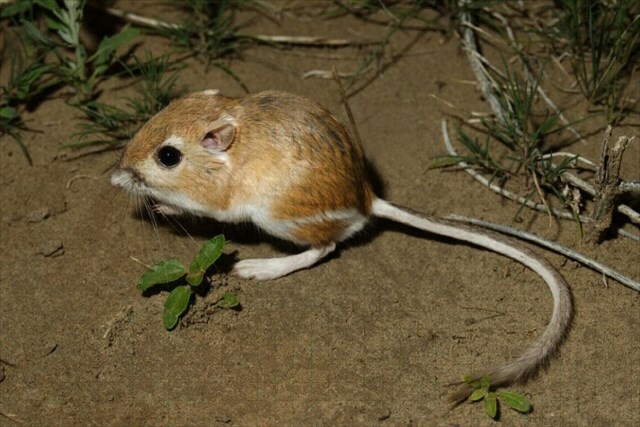 Texas kangaroo rat (Dipodomys elator). Skeletal remains of this species dating to the late Pleistocene were found in Inner Space Cavern. It no longer occurs this far southeast. Skeletal remains of this extinct pronghorn (Tetrameryx shuleri) were found in Inner Space Cavern. This was its easternmost known occurrence. Note the 4 prongs. 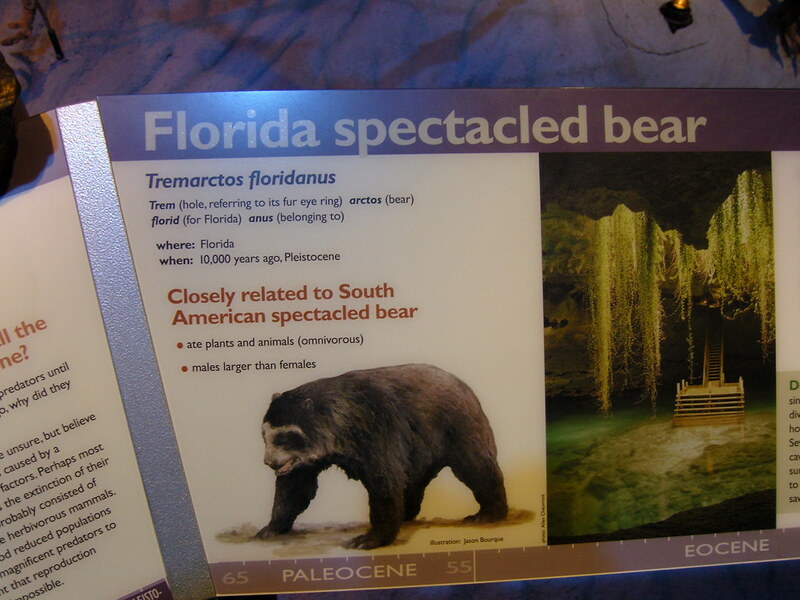 Evidence from Inner Space Caverns shows the extinct Florida spectacled bear (Tremarctos floridanus) lived as far west as central Texas. 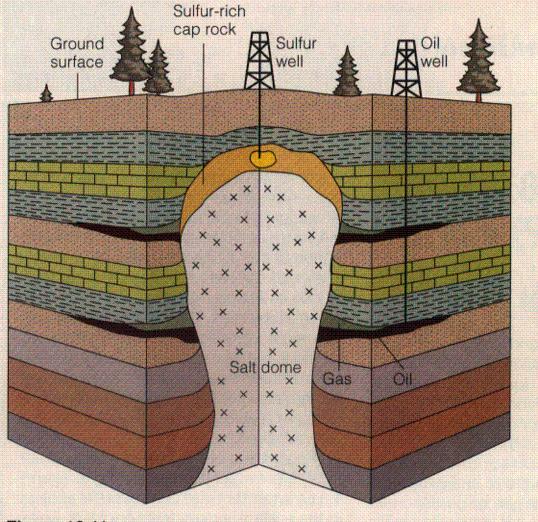 The faunal composition of Laubach Cave indicates this region during the Ice Age was dominated by grassy plains but with some riparian woodlands and mesquite/acacia scrubland. Grazers such as mammoth, horse, and camel clearly are evidence of prairie habitat. The presence of Jefferson’s ground sloth, deer, cottontail rabbit, spectacled bear, and jaguar (an ambush predator) make it seem likely that finger shaped communities of trees grew alongside rivers and creeks. 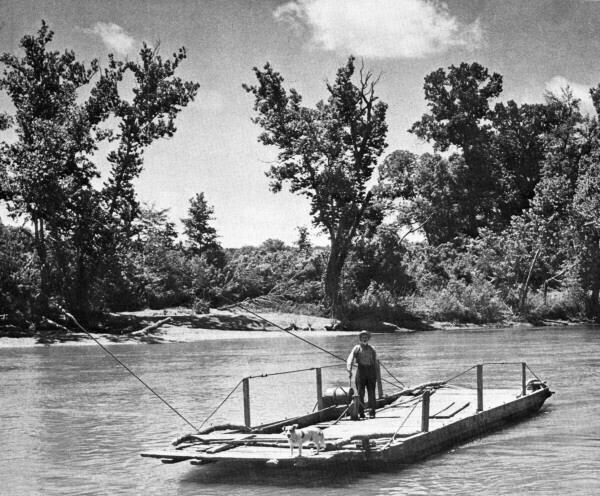 These riparian woodlands probably consisted of centuries old live oaks, cottonwoods, and sycamores. Flat-headed peccaries, jackrabbits, and kangaroo rats prefer (or in the case of the extinct species, preferred) scrub habitat. Texas kangaroo rats almost exclusively burrow beneath the roots of mesquite. Vegetation of this region was similar to that of today, yet slightly different. The moderate increase in precipitation combined with cooler summer temperatures meant deeper top soils and greater stream flow through rivers. 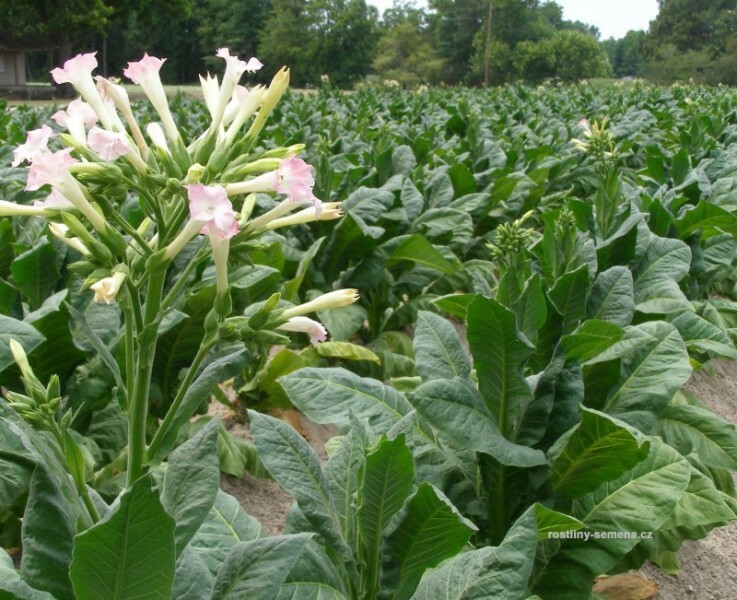 The alternate climate caused changes in the abundance and density of some species of plants. Prairies were mixed with some tall grass and some shortgrass, depending upon the topography. These prairies, like many other natural communities, were thick with wildlife until man came along. Roadrunners are neotropical invaders that spread across North America, probably no earlier than the late Pleistocene. Fossil remains of roadrunners dating to this time period have been excavated from sites in Arizona, New Mexico, and California. Roadrunners are ground foraging birds in the cuckoo (Cuculidae) family. All other members of this family prefer the tree canopy. There are just 2 species of roadrunner–Geococcyx californianus ranges from central Mexico west to California and east to Arkansas and Louisiana and G. velox occurs in tropical deciduous forests from southern Mexico to Nicaragua. The ancestor of these species likely diverged during an arid climate cycle of the Pleistocene. G. californianus evolved a preference for desert scrub and cactus environments and moved north across the Rio Grande. 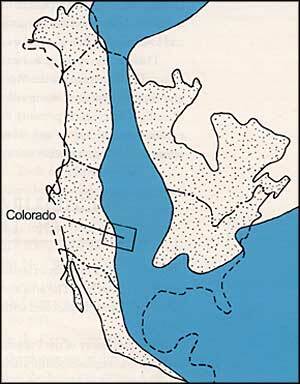 I think they are a fairly recent colonizer of this region because desert grassland and scrub habitat was widespread across southeastern North America during the late Pliocene/early Pleistocene about 2 million years ago, yet there is no fossil evidence of roadrunners in this region from that time period. If roadrunners lived in southwestern North America during this early time period when their ideal habitat was so widespread, I believe they would have colonized the southeast. 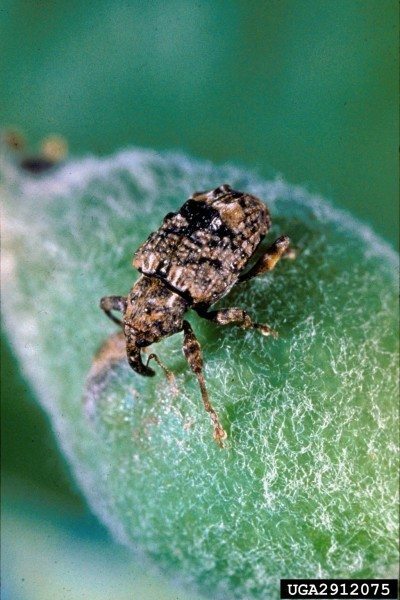 And they would still persist in some areas of the southeast where favorable habitat exists. There’s no shortage of thickets mixed with clearings in the southeast. In Arkansas, the easternmost part of their modern range, roadrunners occur in farms and clearings, cedar glades, scrubby woods, and rocky outcroppings. Currently, the Mississippi river appears to be a barrier that prevents them from expanding their range east. They haven’t crossed the river yet because they are weak flyers and prefer to run in zigzag patterns between thickets. They are the fastest runners among birds capable of flight, reaching speeds of 25 mph–about the speed of an Olympic male sprinter. 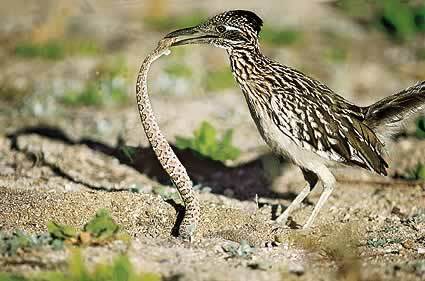 Roadrunner killing snake. They kill their prey by bashing it against the ground until it is senseless. Roadrunner range map. I believe the Mississippi River is the barrier that keeps them from expanding their range east. Video of a roadrunner ambushing an hummingbird at a feeder. Real life roadrunners are smart like their cartoon imitation. Pleistocene roadrunners were slightly larger than modern roadrunners but are considered to be the same species. Scientists believe they grew to a larger size due to cooler Ice Age summers. The modern smaller birds have more endurance in warmer conditions than larger birds and can chase down their favored prey (lizards, snakes, mice, scorpions, insects, and other birds) for longer periods. Roadrunners are poorly studied. I searched The Auk and The Condor, 2 ornithology journals, for more information about them and found very few articles.. They are an intelligent bird, not unlike their cartoon counterpart, and this makes them hard to study because they are smart enough to avoid traps. This is 1 case when the cartoon imitation of an animal matches its real personality. 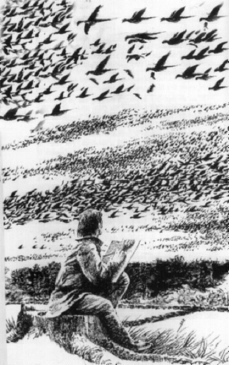 The former abundance of the now extinct passenger pigeon amazed all of the pioneers who witnessed their migration and roosts. Some researchers estimate passenger pigeons composed 25% of the total bird population in eastern North America during colonial times. Their migrations consisted of billions of birds that could eclipse the sun for as long as 14 hours. Pigeon dung fell like “snowflakes” underneath this eclipse. They nested in enormous colonies, covering many square miles. Their survival strategy was predator satiation. With synchronized hatching there were billions of squabs on the forest floor during the week they left the nest and were learning how to fly. There were just too many for predators to eat all at once. They nested and reproduced in the great deciduous and coniferous forests of the Midwest, then migrated to the middle south during the winter where they still roosted in large colonies. 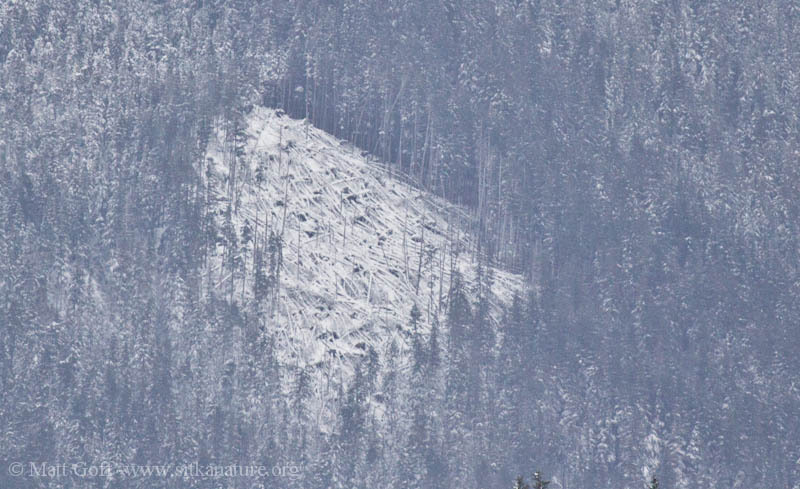 Passenger pigeon roosts destroyed vast areas of the forest. The weight of all those birds broke limbs off trees and even busted thick tree trunks in half. The armies of pigeons vacuumed all the acorns, beechnuts, and chestnuts off the forest floor, leaving no mast for other animals. But their dung was the most detrimental element of their roosts–overfertilizing the soil and killing all the trees in the vicinity. Yet, ecologists believe passenger pigeons played a critical role in creating habitat diversity across the landscape. 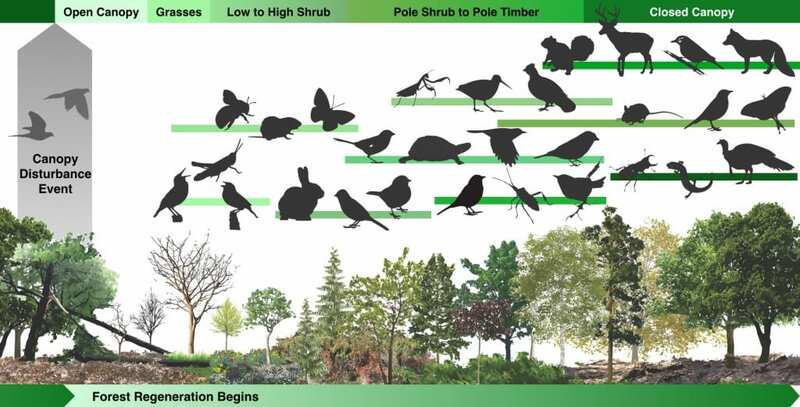 Illustration showing how passenger pigeons created more diverse habitats. Flocks of migrating passenger pigeons could eclipse the sun for as long as 14 hours. Areas of the forest where they roosted were devastated. Stuffed specimen of a male passenger pigeon. The response of the environment following the aftermath of a cataclysmic pigeon occupation would have been interesting to study. Unfortunately, passenger pigeons were overhunted to extinction before scientific studies of their ecological impact could be conducted. However, we can safely assume the environment recovered in stages. First, plants; such as ginseng, pokeberry, and Virginia creeper; that thrive in soils rich in nitrogen were the initial species to grow in the open conditions strewn with fallen dead trees and limbs. Second, as rain reduced the concentration of nitrogen in the soil over the years; ragweed, grasses, sedges, and composites returned. A shrubby stage with pioneer trees including cedar and pine gradually replaced the grassy stage. Acorns carried by jays and squirrels sprouted into oaks that grew with the pioneer trees before eventually outcompeting them. If undisturbed for centuries, shade tolerant species such as maple and beech took over from the oaks. The dead wood from the original pigeon roosts was flammable during dry weather, and wild fires were likely more common, explaining why fire-tolerant species of oaks (burr, white, and black) predominated in the Midwest. In many areas of the Midwest some species of oaks are in decline, especially white oak, while red oak is increasing. White oak germinates during the fall when passenger pigeons were absent in this region. But the pigeons were able to consume spring-germinating red oak acorns after the snow melted. Moreover, red oaks are less fire tolerant than white oaks. Oaks are also shade-intolerant and are being replaced by shade tolerant maples. Ecologists think white oaks are missing the passenger pigeon invasions that created the natural disturbance they need and reduced the competition they now face from red oaks. Scientists with the Revive and Restore Project hope to genetically engineer the passenger pigeon by cutting and pasting their genes into the embryos of their closest living relative, the band-tailed pigeon. I doubt they will successfully be able to re-establish passenger pigeons in the wild. Passenger pigeons fail to breed unless they live in enormous colonies. To survive predation, they must exist in large numbers…the sheer size of their population was the survival mechanism they required. Researchers would need to release at least 10,000 birds to establish a successful breeding population in the wild. Passenger pigeons evolved their survival strategy millions of years ago. Though 1 genetic study suggests their overall numbers fluctuated with changes in climate phases, I am convinced they always occurred in large colonies. The task of re-establishing these numbers is probably an impossible one. You are currently browsing the GeorgiaBeforePeople blog archives for August, 2016.